Below is a list of frequently asked questions. All care information on this website is based around the climate and enviroment of Perth (Western Australia), and as such, please keep in mind that conditions may vary slightly depending on your location. If you cannot find the answer you are looking for, please feel free to contact us. What delivery methods do you have available and what are the costs? Delivery methods and costs differ depending on your location and the order amount. See Delivery Information for more info. We have two designated dispatch/delivery days per week depending on your location. See Delivery Information for more info. Our online store accepts credit card payments through Paypal, as well as Bank transfers and cheques/money orders. Payment details are given during the checkout process. Please note we do not have independent credit card facilities. Customer satisfaction is very important to us, so if you find that something is broken or damaged, please feel free to contact us and we will do our best to rectify the situation. Please note that refunds issued will not include delivery costs. 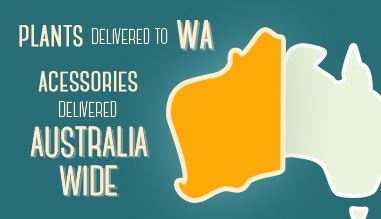 Why only post plants to areas in Western Australia? Due to quarantine restrictions, we are unable at this time to post any products that contain plants and/or soil to any state outside of Western Australia. Quarantine restrictions exist to preserve the sanctity of our natural environments. They are a very important matter to us here at Fickle Prickles and we endeavor to be able to post our whole range of products across all of Australia soon. More information about quarantine restrictions can be found at the Department of Agriculture and Food's website: http://www.agric.wa.gov.au/. What kind of container can I pot my succulent into? You can pot succulents into almost any container, however it is preferred that it has drainage holes. Succulents are far happier if their roots do not sit in water – For example, don’t leave a pot sitting in a saucer of water. The best succulent art pieces have the strangest containers, so find something unusual to plant them into. You will be amazed at how creative you can be with succulents. If you do have a container that doesn’t have drainage, there are a couple of methods that can be successful. Visit Succulent ART’s website (succulentart.com.au/how-to.html#containers) for more information. What type of potting mix do I plant my succulents in? If you are potting your plants into a container, always use a cacti and succulent potting mix. For added drainage, you can add perlite at a ratio of 1 part perlite to 8 parts potting media. Perlite is a volcanic material that will help to provide air to the roots, and healthy roots provide good nutrition to the succulent’s foliage. If you are planting your succulents into the ground, prepare your soil with a good quality soil conditioner. This can be purchased from your local nursery. If your soil is heavy with clay, sprinkle gypsum and raise the garden bed above ground level with good quality soil mix. Make sure the water can easily drain away. Do I feed my cacti and succulents? You can feed your cacti and succulents once a year with a general purpose controlled released fertliser. This is available from your local nursery. They will love you for it. Can I plant my succulents in the full sun? Many succulents can be grown in full sun however they take time to adapt to their new environment. They may need a few summers to adapt. Keep an eye on your succulents for the first couple of years as they may burn in Perth's extreme heat. If this is the case, cover them from the intense sun with some shade cloth. As long as you are providing them with a good soil, mulch and adequate watering you will find that they will come through it and in a few years will be accustomed to our severe climate. Part shade is always a good alternative in the summer here in Perth if you don’t like the look of the burnt leaves. Can I put my cacti and succulents inside the house? Yes! All you need to do is make sure they are getting adequate light by placing them next to a window. You can rotate the plants weekly to get even light distribution and even growth. Be careful not to over water your indoor succulents, and don’t allow them to sit in a saucer of water. An amazing indoor succulent is Sanseveria - It will tolerate very low light conditions. What is mealy bug and how do I get rid of it? If your succulent has small fluffy things on its leaves and stems, then you have mealy bug. Mealy bug is a sucking insect, and if left untreated can lead to the destruction of your cacti and succulents. You can treat Mealy bug with a systemic pesticide. However once they have attacked, they are quite tricky to get rid of. More than one treatment may be necessary. Simply follow the instructions of the pesticide. Mealy bug can also attack the roots of your succulents, and may not be visible on the foliage. If you do find mealy bug in the soil (they will look like small fluffy things), drench the soil with the systemic pesticide. It may be best to completely repot the plant in fresh cacti and succulent mix and in a new pot. Be sure to wash the roots before doing so. Why does my succulent have holes in the leaves?